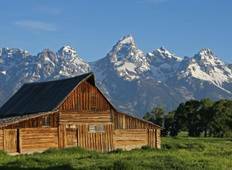 Find the right tour for you through Grand Teton National Park. 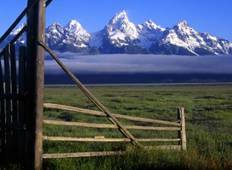 We've got 90 tours going to Grand Teton National Park, starting from just 4 days in length, and the longest tour is 211 days. The most popular month to go is July, which has the most number of tour departures. "Could have done without the towns full of t-shirts and Bear town. Liked the nature..."
"Never Disappointed. I did the 7 day Southwest and 7 day Yellowstone following. Could..."
"I had a great time ! We saw lots of things and had lots of fun !" "Quite simply, the best decision I ever made! This was the trip of a lifetime and..."